Colin McGurran's quail in the woods recipe should not be attempted at home, unless you have a team of sous chefs and professional cooking equipment, in which case - go for it! 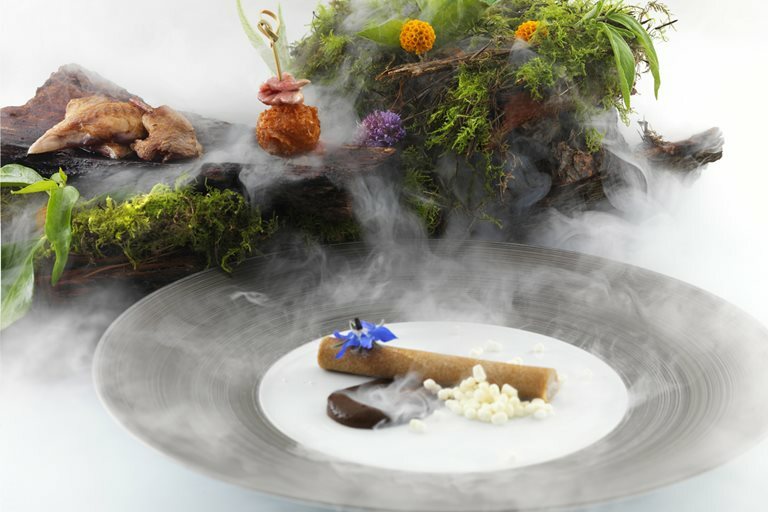 The dish got through to the final banquet of Great British Menu 2012, wowing with its finesse and playful approach. The result of this culinary wizardry is a whimsical ode to the quail. For a scaled down version, try the confit quail legs, black garlic purée and quail egg kebabs, as these are relatively easy to achieve at home.